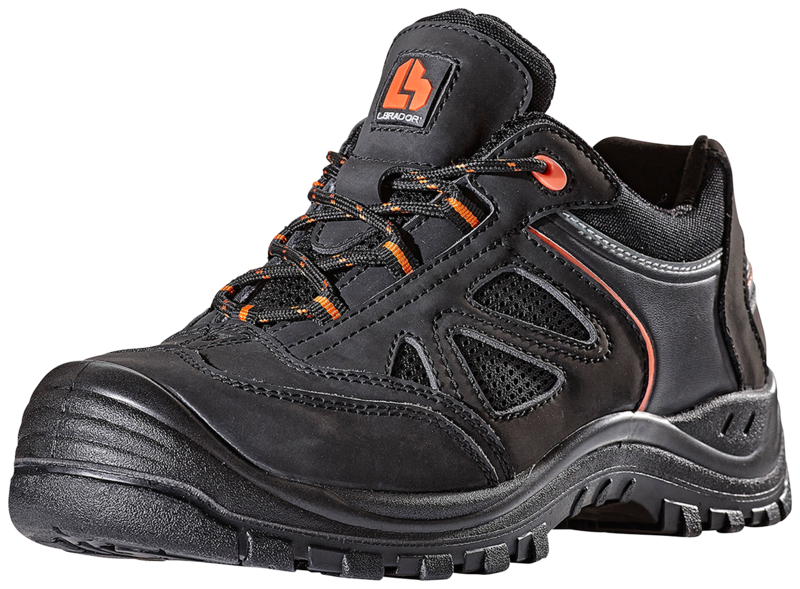 A lace-up low safety shoe developed for active work where high demands are placed on comfort, shock absorption and the highest level of heel protection. In order to create extra good ventilation the outer material in nubuck leather is fitted with textile panels. The nail penetration protection and toecap make the shoe perfect for construction sites, workshops but also different industries as the sole is resistant to many chemicals. As the shoe is metal-free it is also suitable for use in nuclear powerplants, airports and similar environments. Apart from the safety factor we have also put emphasis on user comfort. Composite toecap and soft penetration protection for a fully metal-free shoe. Uppers in heavy and versatile nubuck leather with textile panels for a cool feel. Internal reinforcement material at the heel protects and gives support, formed after the wearer. Removable antistatic insulating inner sole, in microfibre with three different densities of EVA material, for good absorption of the entire foot. The inner sole is built up in the arch for good comfort and to reduce the risk for heel spurs. The outer sole in TPU gives good anti-slip protection and makes the shoe suitable for work in varying temperatures.